Food provides necessary nourishment to maintain the healthy function of our minds and bodies. Food can also be a source of great pleasure, offering satisfying sensory experiences and physical delight. However, when you’re depressed, your relationship with food can become much more complex, and eating ceases to become a function of survival or benign pleasure; eating can become an addiction. While some people respond to depression by losing interest in eating, others develop a compulsive drive to consume large quantities of food, to the detriment of their physical health, self-esteem, and often social functioning. This potent preoccupation with food and out-of-control eating is referred to as compulsive overeating, or binge eating disorder, a process addiction that affects 3-5% of women and 2% of men in the United States. 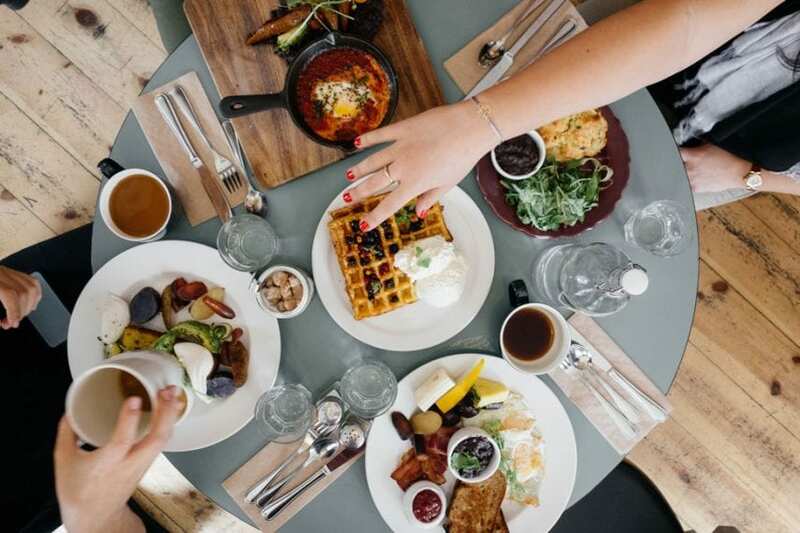 In a study published in the Journal of Adolescent Health, researchers examined the relationship between overeating, binge eating, and depressive symptoms among girls in adolescence, the age at which compulsive overeating is most likely to develop. After adjusting for factors such as age, body mass index, and age of menarche, the findings showed that girls who experienced depressive symptoms were twice as likely to engage in overeating and binge eating. Developing an understanding of the nuanced relationship between depression and compulsive overeating is essential to enhancing the self-awareness of those who suffer from these co-occurring disorders and ensuring the delivery of effective treatment. When faced with overwhelming sadness, food can be one of the few things that provide comfort and instant gratification to temporarily alleviate painful emotions. As a close friend experiencing deep depression once told me, “Eating is the only thing I have to look forward to.” There are solid neurochemical reasons for this; eating activates the pleasure center in the brain, triggering the release of dopamine, a hormone that creates feelings of euphoria and wellness. This feeling can be particularly attractive when your ability to experience normal levels of enjoyment is compromised due to depression. Over time, however, your brain adapts by decreasing dopamine release and requiring more food to produce the same blissful response; this is the same effect that drug users experience as they develop tolerance to illicit substances. Not only does your neurochemical response to food change, but your baseline dopamine levels may also drop, producing withdrawal effects if you stop overeating. Soon, you may become trapped in a cycle of depression and overeating to ward off the pain of both your depressive symptoms and the distress of food withdrawal. There may also be another reason people with depression are more likely to engage in compulsive overeating: negative urgency. Negative urgency describes a phenomenon whereby negative emotions such as sadness, anger, and fear impair your ability to control your behavior and increase impulsivity. A team of researchers led by Dr. Kelly Klump of Michigan State University examined a group of over 600 women to investigate their levels of negative urgency and history of binge eating. They found that subjects who experienced increased impulsivity when depressed engaged in binge eating, while women without negative urgency did not. Because negative urgency is theorized to be a biological trait, “people who [turn] to binge eating when they’re depressed are not merely demonstrating a lack of willpower or an ordinary mood swing. They’re engaging in biologically driven behavior.” In other words, compulsive overeating in response to depression is not simply a matter of arbitrary choice, but an innate force deeply embedded in your psyche. Knowing that your eating disorder is due not to personal failure, but rather to powerful biological imperatives, may ease the shame and self-blame many people feel as the result of their eating, and reinforce the need for comprehensive treatment. Healing from depression and compulsive eating can be a difficult journey, but with the support of compassionate clinicians with expertise in treating co-occurring disorders, you can regain emotional and physical health. By investigating the relationship between your psychological illness and addictive behaviors, you can uncover the roots of your distress and begin to remove the obstacles standing in the way of healing. Specialized, holistic care can help you re-establish a healthy relationship with food, using it to nourish you as you discover alternative ways to cope with feelings of distress. As your depression lifts, you may find that your impulse control returns and your drive to overeat diminishes naturally. You are not alone in your struggle, and with the right therapies, you can receive the help you need to restore balance and flourish. Alta Mira offers comprehensive treatment for people suffering from compulsive overeating and co-occurring depression. Contact us to learn more about how our innovative program can help you or your loved one start on the path to recovery.